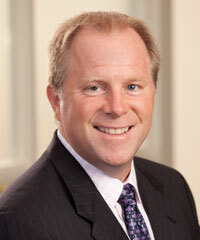 Christopher Thorsheim, Managing Director—Investor Relations, joined Falcon in August 2011. Mr. Thorsheim has over 25 years of institutional investment experience. Prior to joining Falcon, he was with Peirce Park Group, where he was a senior investment consultant to institutional clients. Prior to this, Mr. Thorsheim was COO and Director of Investor Relations at Manhasset Capital Management, a hedge fund that he co-founded. Previously, he held senior Investor Relations roles at StoneRidge Investment Partners, Deutsche/Morgan Grenfell AM and Alliance/Equitable Capital. He received an M.B.A. in Finance from NYU Stern School of Business and a B.S. in Management and Finance from Susquehanna University.